The WSD training curriculum includes weapons defense, with a focus on knife, gun, and club attacks. We also offer seminars on the use of the Kubaton personal weapon of self-defense. For gun safety, cleaning, and range instruction please see the page for Ketan Ranchhod, who is the instructor for our black belt training classes. 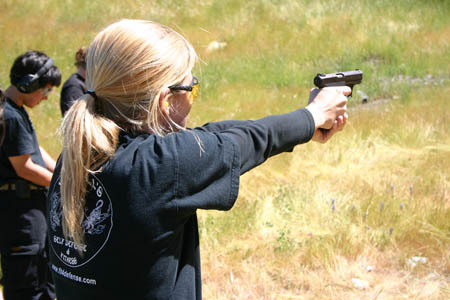 He offers many types of classes for beginners to experienced users, including concealed carry.